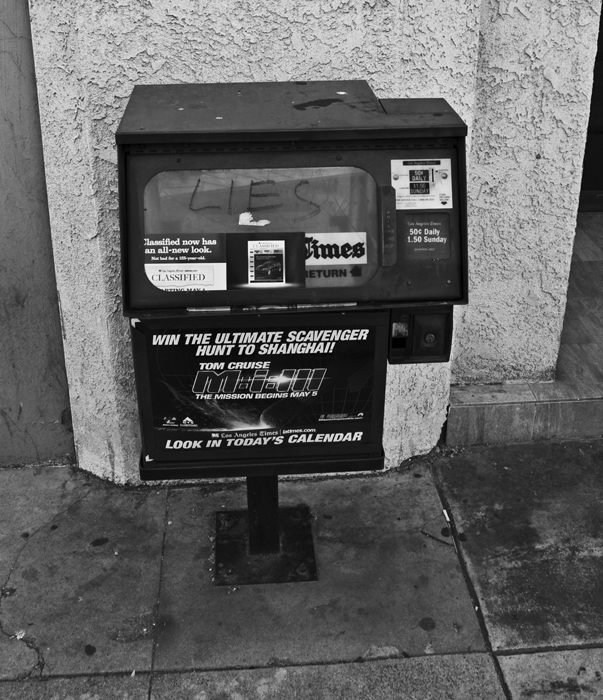 On a coin operated newspaper rack, someone has displayed their personal opinion about what is inside with the word ‘Lies’, near Chinatown, Los Angeles. 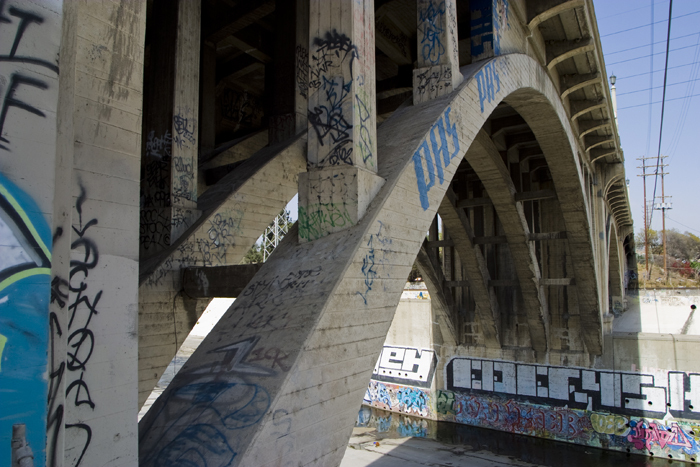 Standing beside the rail road tracks, looking east over the Los Angeles River with a view of the Spring Street Bridge and its graceful concrete arch built in 1928, now covered with graffiti, near Chinatown, Los Angeles. 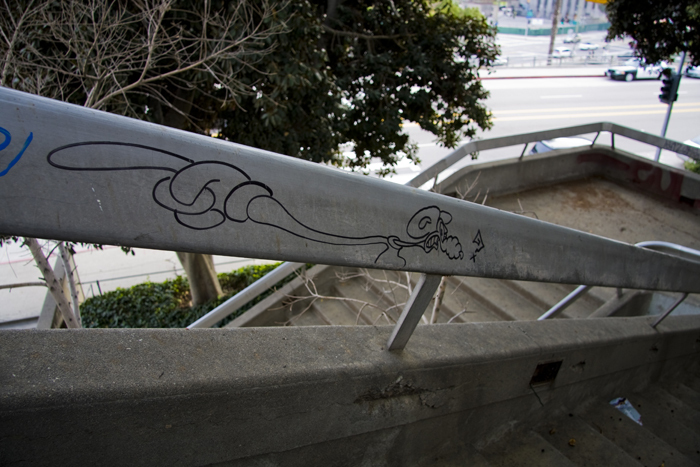 Just off Hill Street, right next to the 101 freeway, is a beautiful drawing of a rat, with one hell of a long arm, on the hand rail of a set of concrete steps, in downtown Los Angeles. Near Los Angeles City College, is a test only smog station, that has been inundated with graffiti. 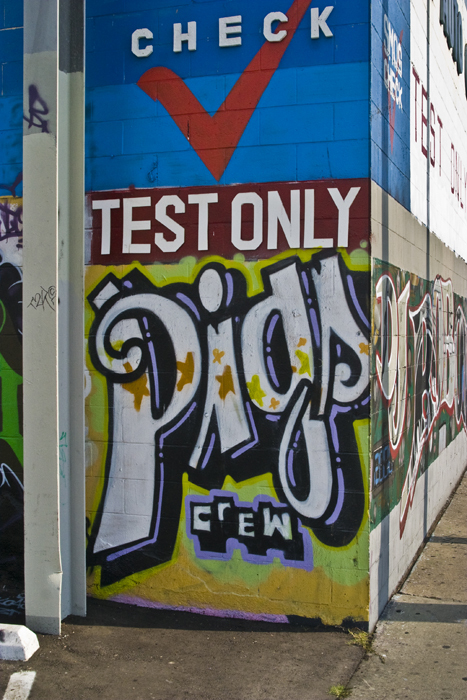 Someone who calls themselves the Pigs Crew deface the wall with their attempt at advertising, in Los Angeles.